Sounds like a proper thriller in the north west as Kedah finally edged out a tenacious Sarawak side in front of a large, passionate crowd. Baddrol gave the hosts the lead on seven minutes with his second goal in two games but they weren't able to hold on to it for long with Philippine international Hartmann scoring his first since signing for the club from Geylang International. Sarawak were 2-1 up on 26 minutes when Mawat scored. Two goals in one second half minute did the job for Kedah with Mendoca scoring his first of the season and Syazwon, who scored a cracker for Malaysia against Cambodia at the recent AFF Suzuki Cup capping the comeback. Pahang are a different beast after an indifferent couple of seasons and the way they tore into T Team suggests they could be a contender for some silverware this season. The win puts them top of the MSL on goal difference , one of five teams on four points! For Arema and Bali United fans Kiko Insa was substituted on 71 minutes for the home side. Penang marked their move to Batu Kawan Stadium with a loss to Perak, the only goal coming on 78 minutes. Two losses in their opening two games without a goal scored leaves Penang bottom of the MSL after two rounds with zero points. To compound Penang's woes coach Ashley Westwood was sent off after the Perak coach Karl Heinz Weigang pushed the Penang physio. No, I don't get it either but apparently the ref admitted he made a mistake. Westwood is hoping the return of Papua New Guinea international striker Nigel Dabinyaba will improve the Panthers potency in front of goal though there is no guarantee he will be back for this weekend. Eric Williams celebrated his first game in charge of Melaka United with a point away to Selangor, his team taking the lead on 75 minutes only for Selangor to draw level six minutes later. Don't you love the start of the season? Many thought PKNS with their stellar strike force would be among the challengers and Kelantan would be a basket case but doesn't look like it after this game. Lebanese striker Ghaddar marked his return to Kelantan with two goals in three minutes and although Soto pulled one back for the home side in first half injury time Radzi restored the two gao margin early in the second half. A remarkable result for the team from the North East who saw their home game last week called off due to a waterlogged pitch and were forced to relocate to Selangor for training ahead of this game. PKNS? Pointless and winless, they are at least above Penang for now. First win of the season for the champions after they were held 1-1 by Kedah last weekend in the Charity Shield. They were forced to come from behind against a Felda side who pushed them all the way in the last campaign. Held in Solo. Three games of 45 minutes each. Is this really a game between two professional football clubs? Ex Persija Aciar came on as a second half substitute and scored but it wasn't enough to earn the home side a point. Ex Persela Steven Imbiri also came on as a second half substitute. JDT II recovered from their loss against KL in their first game of the season to put Perlis to the sword with Fernadez scoring his second in two games. It took a late winner from Lucrecio to keep KL's perfect start to the season going in Sabah. They remain the only side with a 100% record after two rounds...though not everyone has played two games yet! UiTM v Negeri Sembilan was called off and Terengganu v PDRM is scheduled for tonight. Pre season goes up a gear this weekend with the Trofeo Bhayangkara taking place at the Manahan Stadium in Solo. As well as Bhayangkara, Arema and Persija have been invited to this one day affair which sees each team playing two 45 minute games. Personally don't get the point of these affairs but I'm sure the clubs see some benefit...especially when an estimated 9,000 Arema fans are expected to attend. A few days later and the President Cup starts. Twenty teams split into five groups as I explained a couple of days back. Ironically hosts Arema have been drawn with Bhayangkara and Persija as well as PS TNI! Meanwhile in Thailand Muang Thong United are jetting off to Hong Kong to play in the Lunar New Year Cup. Alongside the Thai champions are Kitchee, Seoul FC and Auckland City. In recent days Bangkok has played host to J League Asia Challenge Inter League Cup. Bit of a mouthful I know but a pretty strong pre season competition featuring local sides Suphanburi and Bangkok United facing off against Japanese sides Kashima Antlers and Yokohama F Marinos. Buriram United have also been busy. They took part in the Mekong Cup which featured the likes of Lanexang United, Yadanarbon, SHB Danang and Boeung Ket Angkor, winning 2-1 on aggregate over the Lao side in the final. Ok Buriram were given a bye to the final but they next played a friendly against another ambitious Cambodian side, Phnom Penh Crown as well as hosting Malaysian champions Johor Darul Ta'zim. Indonesia? Let's give the benefit of the doubt, they are after all returning from a FIFA imposed suspension that essentially wiped out two years of competitive football, the 2016 Indonesia Soccer Championship may have been competitive on the pitch but it was still unofficial. But Indonesia remains massively isolated from the rest of ASEAN. Yes there was talk of Pusamania heading to Cambodia to play in a tournament but even such an ambitious club as that was forced to defer a decision as they waited for the President Cup. Bhayangkara hoped to invite Home United for its Trofeo but seemed to overlook the Singapore side's AFC Cup commitments. And another ambitious local side, Madura United, did mull over a trip to Penang but nothing came of it. But why was no one considering an approach to JDT? Invite them over for a friendly? It's easier for the Malaysian side to come here than to go to Buriram after all from a logistics point of view. The other point to take into consideration is one of timing. The ISC only finished before Christmas. January has seen most clubs look at firming their plans for the new season and they could only do that once the new PSSI leadership had laid out its road map as to how the year will look. With the limit on foreign players and age limit restrictions imposed a few clubs suddenly found themselves backpedalling. Indonesian football's biggest enemy for so long has been uncertainty. With more positive sounds emanating from the PSSI it would be nice if a greater certainty could envelope the game and allow clubs the luxury of organising a better quality pre season. Which ASEAN, or even Australian, club wouldn't want a few days on Bali ahead of the serious business. Why should the Thais get all the big fish?! It was always going to be a tough shout. Tampines Rovers chances of entering the AFC Champions League were close to zero even before they travelled to Manila to face Global given how poorly they fare on the road. Even had they defeated the Philippine side last night next up was a daunting tie against Brisbane Roar. Win there and a trip to China to play Shanghai Shenhua was on the cards. Win all three and then they could have looked forward to a few months in the spotlight against the likes of Kashima Antlers and Muang Thong United. Mind that gap. Mind the Stags won't necessarily find the AFC Cup a push over either. Now the competition has been rejigged and the group stage is something the backers of the ASEAN Super League can only dream bout Tampines find themselves locking horns, or should that be antlers, with Hanoi T&T, Felda United and Ceres Negros from the Philippines. Quarter finalists last year Tampines Rovers are sure getting plenty of experience mixing it with regional powerhouses but the hoodoo they face is on their travels. They lost to Ceres in the group stage 2-1 and Bangladesh side Sheikh Jamal Dhanmondi recorded their only win against the Singapore side. Victory away to Selangor though was enough to reach the knock out stages and after extra time Tampines did beat Mohun Bagan. They lost 1-0 to Bengaluru last year and were only able to manage a 0-0 when they got them back to Jalan Besar leaving the eventual beaten finalists to face Johor Darul Ta'zim in the semi finals. With two victories from their travels up the highway in Malaysia perhaps the Stags will be looking forward to their clash with Felda United! The draw has been made for the 3rd Round of qualification for the AFC Asian Cup 2019 with several nations from the region still holding out for a spot in the UAE in two years time. In fact only Indonesia are sitting this out thanks to their suspension by FIFA nearly two years ago. Opening games will be played towards the end of March. The first Mekong Derby takes place 5 September in Phnom Penh with the return game 10 October in Hanoi. Ok so the draw has been made for the groups in the upcoming President Cup which is due to start early next month despite some misgivings from some sides complaining their pre season preparations are at an early stage. Twenty teams competing, 18 from Liga 1 and the top two from last season's Indonesia Soccer Championship B who this season will compete in Liga 2. Five groups of four teams. The group winners and the best three second placed teams go through to the quarter final stage which will be played on a home and away basis as will the semi finals. The final will be a one off game. Group B is essentially a repeat of this weekend's Trofeo Bhayangkara with Arema, Bhayangkara and Persija meeting again. I like the look of Groups C where Robert Alberts highly fancied PSM will take on a Persib side that rarely loses at hoime while Group D brings together four ambitious football clubs who are seeking to be more profeessional than some we have seen in the past. No idea who plays who, when. Once that info is released I will post it here. Football fans are a notoriously hard bunch to please at the best of times. Take Manchester United for example. Their following only have to see their team lose the toss in consecutive games and they are clubbing together to hire a plane to fly over the stadium calling for the manager to leave. Success there has bred an intolerance to mediocrity or even dropping points and the fans are vocal in their repulsion. United fans have grown up with success though. They have known little else and for them it is normal to get offside goals and dodgy penalties awarded. To them it is a birthright. Halfway round the world in Malaysia the fans of Penang have had no such success to bask in. They only returned to the top flight last year after a five year absence. The last time they won anything meaningful was when they won the FA Cup way back in 2002. They have lifted the Charity Shield and the FAM League since then but we are talking about a big club? Last year was their first year back in the top flight as I said since 2010 but instead of showing coach Jacksen F Tiago any kind of gratitude or allowing him the time to build a side that could survive at its new level the fans turned on him and some of the foreign players he had hired. After one home game when results didn't go the way the fans wanted they stayed behind long into the night demanding a meeting with the club management. The club agreed to meet the disgruntled fans who demanded Jacksen be replaced. The club gave in and they turned to Bojan Hodak to steady the ship. Fan power had won. Ahead of the new season and a new coach Ashley Westwood was in place. 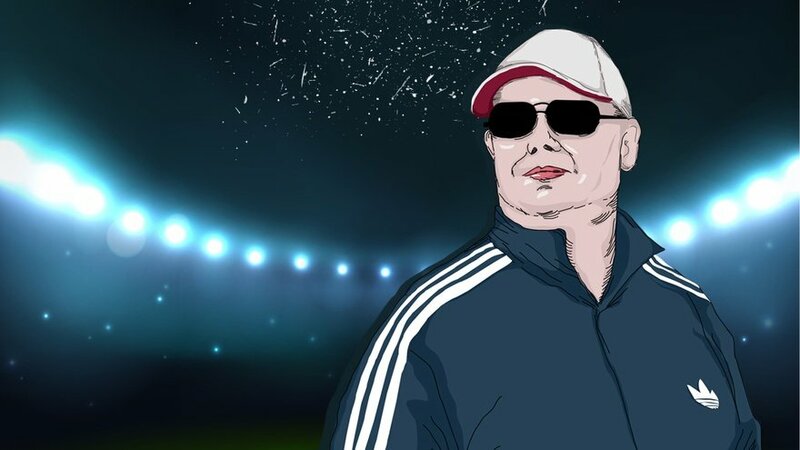 Widely regarded as one of the most promising young coaches in the region the Englishman enjoyed unparalleled success with Bengalruru in India before stepping down in search of new adventures. So far the supporters have allowed him time to settle in. However they were less than impressed when the kit for the new season was released. It was too plain they whined and demanded it be changed. Penang's first game of the new season came away to Selangor and somewhat surprisingly the Panthers went into the game in better shape than the one time giants of the local game. However they lost 2-0 and the experienced keeper Syed Adney was deemed at fault for one of the goals on his club debut. Instead if rallying round their new keeper, giving him a pat on the back and saying it could happen to anyone an element of the support turned on the 30 year old Liverpool born keeper, heckling him as he made his way from the changing room to the club coach after the game. One fan was seen standing in front of him offering a mock round of applause. Now in fact I love Penang. It is one of my favourite places in the whole region. But the actions of some fans with an overbearing sense of entitlement leaves a sour taste in the mouth. A coach. A kit. A goalkeeper. What next will they take offence to? The season opener which doubles as a kind of Community Shield went to penalties before Kedah lifted the first trophy of the season against the champions. Is this the signal for a shift north in Malaysian football or is it just one of those things? Kedah next play a high profile friendly against Chinese side Hebei Fortune, coached by some guy named Manuel Pellegrini. Two teams who quietly fancy themselves this season, the experienced Norshahrul's goal 15 minutes from the end secured the points for Felda. PKNS have invested heavily expecially up front and they will be hoping for better things in the weeks to come. Pahang have also invested in their squad this year after a spell campaign last time round and they will be pleased to come away with a point from the hostile atmosphere of Ipoh. Junio's goal 22 minutes from the end spared the home side's blushes. Despite being the highest ranked team from the state T Team continue to be starved of funds which makes coach Rahmad Darmawan's achievements last season so spectacular. With another young side to play with RD may well be disappointed at only earning a point against Sarawak in their season opener with Roskam scoring nine minutes from the end. A football match or an accident in a Scrabble factory? Ex Persela, Persiram Steven Imbiri came on as a second half sub for the visitors but was unable to save his team as they went 3-0 in 48 minutes. Ex Home United, Albirex Niigata striker Bruno Suzuki, a Brazilian who became Japansese, endeared himself to the home support with a 24 minute hat trick on the opening day of the season! A bad day all round as both JDT sides ended up winless on the first day of the new season. The home side needed Azeman to save a point in the 89th minute. Golly. There are about three weeks before my first book gets launched and it's quite exciting really. Towards the end of last week I did an interview with an Indonesian news website and I must admit I do like the graphic they came up with for me; not sure about the lipstick though lads! Earlier today I spoke with a Persebaya fan site called Emosi Jiwaku and that chat can be found here. It's great to be able to chat to people about Indonesian football and in return they seem genuinely surprised a foreigner takes an interest in their much maligned game. But then that is what the book is about. Indonesian football and the people involved. Go beyond lazy stereotypes. And a third interview was done yesterday for Kumparan...you can read that here. Indonesia have appointed a new coach. His name is Luis Milla, no relation to Cameroonian striker Roger Milla who played for Pelita Jaya, and he comes from Spain. The 50 year old coach played for both Barcelona and Real Madrid as well as picking up three caps for his country in 1989/90. As a coach his last gig was with Real Zaragoza, don't mention the halfway line, and he has also worked with various national age groups. In 2013 he had a spell with UAE side Al Jazira, his only stint outside of his native land. It certainly is an out of the box appointment. Not since Wim Rijsbergen was appointed back in 2011 has the PSSI chosen a coach without any background in the local game. It is questionable whether Wim learned much while he was in charge anyway, it being at a time of two leagues and instability. With a two year contract Milla will also be in charge of the SEA Games squad later this year and this no doubt will be foremost in his in tray when he starts work next month. The full squad, buoyed from reaching the ASEAN Football Federation Championship Final last year before losing to Thailand, have plenty of blank dates in their diary and with most of the rest of Asia looking forward to Asian Cup/World Cup Qualifiers during the year it could prove difficult to find meaningful, ie beyond ASEAN borders, opponents. Outgoing coach Alfred Riedl had his hands tied going into the AFF Championships as clubs stipulated they would allow no more than two players to be released from their ranks. It remains to be seen whether they play such hard ball with official competition returning in March. An unfamiliar environment, an unfamiliar language, an unfamiliar diet, Milla won't have much time to adapt to the Indonesian way of doing things. In fact it could be argued his appointment suggests a fresh approach. However he will still need a few tips and hints to smooth his arrival in the country and with the experienced Danurwindo as his technical director he will be working with someone who does know the game inside out. Typically in this day and age coaches move around with more baggage than a single checked in piece on their flight over. Milla, with his experiences in Europe, may well be expecting/hoping he can choose too bring along assistants of his own choosing. As of now it is not clear if he will be allowed to do so. With the FIFA suspension lifted and several young players making their mark at the AFF Championships, Milla will be arriving at a time when goodwill is quite high. How long it will last remains to be seen. Indonesians will be expecting an improvement on their runners up spot in Bangkok last year and not matter how unrealistic that may be considering the circumstances Milla would be doing himself a heap big favour if he can get a couple of wins under his belt at the tsrat of his career here. Days after the Chinese government told Super League clubs to reign in their sending, in AFC/FIFA land this is not for some reason considered government interference, comes the news the AFC have kicked Timor Leste out of the AFC Asian Cup 2023 for playing illegal foreigners in international matches since 2011. There have been suspicions for a while the country had been playing games. Their line ups frequently featured Brazilian players who had become Timor Leste nationals in order to bolster the national team. The idea of importing players for national glory is nothing new of course. It is a path Singapore has taken before and Qatar continues to take. But there are ways of doing it and it seems Timor Leste broke the rules. Timor Leste are accused of using 12 illegal players in a variety of games including AFC and FIFA recognised games as well as non official games. As some of the games were played against Indonesia it is worthy of highlighting the who, where, when and what etc. 11/09/14 Friendly. 4 illegal players. A number of players also played in Indonesia during this period. Of course a Timor Leste national would find it easier to get a work permit than a Brazilian. One other player who was named as playing illegally for Timor Leste was Patrick Fabiano who I saw play several times for Kazma in Kuwait. I'm not sure if the players will face any sanction or not. Surely they must have been aware of the corner cutting being carried out on their behalf? I guess they were so thrilled at the prospect of becoming an international footballer the excitement blurred the lines between honest and dishonest. The traditional managerial go round is coming to an end as Indonesian sides start the serious preparations for the new campaign. Incidentally the Indonesian Super League will be known as Liga i, Divisi Utama Liga 2, Nusantara League will be Liga 3 and so on. Anyway a new season and a new hope for supporters of every team as they look forward to a new coach, new players and of course new replica shirts to purchase. One set of supporters can feel more excited than most. Barito Putera have hired the most successful foreign coach in Jacksen F Tiago. Coming off the back of a spell in Malaysia where he guided Penang back to the top flight, Tiago has won titles with Persebaya and Persipura. If anyone knows the ins and outs of the game in Indonesia it is the Brazilian who also played for a number of sides including Persebaya. With a three year deal in his pocket Tiago will be expected to have Barito Putera challenging the established big boys within a short time and while last season may have been marked by inconsistency he can at least rely on the likes of Hansamu and Rizky Pora, fresh off their ASEAN Foootball Federation Championships exploits, to carry on their good deeds of 2016. However he will have to do without the goals of compatriate Luis Carlos Junior who has moved to Madura United. Simon McMenemy is another familiar face returning to Indonesia after a spell abroad, most recently in Philippines. He has had previous stints with Mitra Kukar and Pelita Bandung Raya and now takes over Bhayangkara and inherits a young side that exceeded expectations last year when they finished seventh with a mostly young squad but heavily reliant on the goals and guile of imports Thiago Furtuoso, Otavio Dutra and Rudi Widodo. While McMenemy will no doubt be heavily dependent on his experienced players there is little doubt he won't be thrilled at the opportunity or working with the likes of Evan Dimas, Muchlis Hadi and Maldini Pali, the latter two arriving from PSM as they seek to combine a football career with one in the police force. The club are aiming high, giving their new coach a target of finishing in the top three but after three days with his new charges McMenemy is feeling enthused enough to claim a top two target is realistic. He should get his first opportunity to see how his methods have been taken on board when Bhayangkara 'host' the Trofeo Bhayangkara in Solo. The club are hoping Arema will join in and Home United were also expected to attend but AFC Cup commitmments may have some influence on whether they travel or not. The third familiar face is Timo Scheuneumann. The East Java born German takes over Persiba for the new season and has the added bonus of seeing the team relocate to Malang for their home games. His last stint coaching a club side wwas when he worked with Persema in the old Liga Primer Indinesia when he built an exciting side around the likes of Irfan Bachdim, Kim Jeffrey Kurniawan, Robbie Gaspar and the experienced Bima Sakti. Indeed Sakti, who was his coach back then, will now be his assistant on the training field and will provide some continuity having held the same position last year with the club under Jaino Matos. As is often the case with Persiba finances will be tight, especially as they commute between Malang and Balikpapan and even before Timo had set up his own password on the company laptop it was announced Shohei Matsunaga, the one shining light in a disappointing campaign in 2016, was off to Persib. His goals will be a big loss though the club have moved quickly by signing Marlon da Silva from Mitra Kukar. Football being football the hope and expectations that always accompany pre season will soon fade to disappointment and anger. Let us hope this new fresh odor that is creeping across Indonesian extends to club managements and they give their new coaches time. Surprisingly each of the three coaches in this post have been given multiple year contracts but always there is that dreaded 'evaluasi' word looming over their necks, a slient presence, often hidden by the smiles and high fives that greet a win but there all the same. By any measure the last few months have been quite remarkable for the Sorong born defender Yatno Basna. He broke into the Persib first team, was called up by the national team and went on to play at the ASEAN Football Federation Championships in Manila for Indonesia. Not bad for a 21 year old defender who only made his first team debut for Mitra Kukar in the aborted 2015 Indonesia Super League. His style of play is reminiscent of Manchester City's John Stones in that he has a preference to have the ball at feet and take his time to play his way to safety rather than go long which is the preferred option for many defenders in Indonesia. And like Stones it can cause his team mates and supporters the odd nervous twitch when it doesn't always come off. After his impressive performances in the Philippines there was a story doing the rounds a Thai team, BEC Tero, was interested in his services but as the debate around his future deepens one can't help but wonder if that was not a bargaining chip. At the time Basna said his agent would meet the Persib management and discuss his future and his priority was to stay with the Bandung side before adding there was also interest from Malaysia in his services. Yesterday Persib announced they would be releasing the player. The club said Basna's agent was seeking a pay rise of 300% before agreeing to a new deal. Persib are saying now and the defender can now listen to other offers. One club rumoured to be interested in the player are Persipura but one of their officials has said if those wage demands are true they would not help Basna meet them. Just shy of six foot tall, Basna is far from the finished article but his build and style of play are hard to find and that Indonesian coach Alfred Riedl had seen enough to place his faith in his raw talent suggests we will see much more of Basna in the future. But for now he is in the news for the wrong reasons. It has certainly been a busy few days for Persiba Balikpapan. The Honey Bears as they are known have lost a coach and their star import, been forced to move their home base to another island, another time zone, found a new coach, found a new striker and have decided they won't be competing in a pre season tournament. Under Brazilian coach Jaino Matos they struggled to find any consistency and their total of 38 goals scored during the Indonesia Soccer Championship 2016 was one of the lowest recorded in the division. Certainly players with big reputations like Syamsir Alam and Okta Maniani failed to deliver and without the 13 goals of Japanese import Shohei Matsunaga it could have been a very poor season indeed. With the season ended the club cast around for a replacement coach and it wasn't long before ex West Ham player Peter Butler's name was linked with the club having worked their before. He vehemently denied the link and it was soon announced Brazilian Osvaldo Lessa would be taking over. The one time assistant to Jacksen F Tiago at Persipura had only a short stint in the hot seat at the Black Pearls behind him and soon the club were backtracking saying in fact he hadn't be selected. While the debate surrounding a future coach was going on Matsunaga announced he would be returning to Persib for a second stint. The 28 year old attacking midfielder from Japan had first signed for the Maung Banding un 2011 and after his performances in the ISC it was no surprise he was the target of a bigger club. Persiba meanwhile decided Timo Scheunemann would lead the team in the rebranded Liga 1 in 2017 with Bima sakti continuing in his role as understudy. It is the German coach's first club appointment since his time with Persema when they were in the Liga Primer Indonesia back in 2011 and the first thing in his in tray was to find a goalscorer. With Persiba Stadium unavailable for the team this season Persiba also cast around looking for a new stadium. They have decided to use Gajjayana Stadium in Malang, close to where coach Timo lives, while they wait for their new stadium to be finished. With a home town on one island and a stadium in another requiring a flight and a two or three hour bus ride it remains to be seen how Persiba's pre season preparations will be impacted. There is already talk the club will not join the pre season president Cup if, as suggested, it goes ahead at the end of this month or early February. Timo says he feels his squad won't be ready so soon and while he is open to competing if it is held at a later date as things stand they won't join. It's a squad that needs a lot of work. While one or two young players came in and did a good job in difficult circumstances last year Timo knows he will need a lot more experience in the squad going into what will certainly be a tougher competition. Striker Marlon da Silva has come in from Mitra Kukar in a bid to replace the experience and goals of Matsunaga but more is needed and with funds tight Timo will know he has his work cut out if Persiba are to make an impact in the upper reaches of the table. I'm a big fan of players and coaches getting out of their comfort zone and working in new environments. Alien sights and sounds, different perspectives may not always make you better at your job, they should, but they help you grow as a person. The world extends beyond your village and while the grass may not be greener at least you get to try different grass. It is a big bee in my bonnet that not more try and sample life overseas and is something I have touched upon once or twice. Players like Fandi Ahmad and Bambang Pamungkas had the opportunity to try their luck in Europe but for one reason or another decided they wanted to ply their trade closer to home. Current Thai coach Kiatisuk was of a generation who sought self improvement overseas, in his case Singapore for a few years, and Thai football is benefiting from his pioneering experiences. More recently we have seen Singaporeans in demand north of the causeway with Hariss Harun signing for Johor Darul Takzim and Shahril Ishak and Baihakki Khazian turning out for Johor Darul Taksim II while Safuwan Bahruddin headed to PDRM. Goalkeeper Hassan Sunny has just returned from a two year spell with Army United while ex Young Lions, LionsXII and Tampines Rovers defender Hafiz Abu Sujad has made the journey north to play for second tier side BBCU. If we are honest with ourselves none of those teams are particularly glamourous. JDT II are what they say on the tin for example. Are they a team who can be promoted given then the potential for facing off against JDT in the top flight? Crowds are low in Malaysia's second tier and atmosphere at games much like what you might expect on the outer planets of our solar system but surely the benefits for Shahril and Bahaikki, beyond the financial, can only benefit Singapore football down the line? They are part of a club that is laying down the foundations to be a regional powerhouse for years to come. Professionalism at all levels surely will rub off on these two experienced players and perhaps, should they ever consider a career in coaching, what they witnessed in the evolution of a super club can only hold them in good stead as well as looking good on their resumes. Safuwan's situation is different. After having a positive loan spell with Melbourne City in the ALeague he elected to join Malaysian side PDRM for the rest of the 2016 season. Quite why the versatile goal scoring defender/midfielder would opt for the Malaysian police force side, no disrespect intended, is beyond me. Were there no better offers on the table? That he should extend his stay for 2017 is equally baffling. Perhaps his status, he remains under contract to the Football Association of Singapore, effected how other clubs viewed him. His strong performances weren't enough to save the Cops and he will now play in the second tier watched by even smaller crowds than would have seen the PDRM games last season. There was talk of Kedah taking an interest but that fizzled out. But where were the Thai or Indonesian teams for this most consistent of performers? Is the contract with FAS a millstone round his neck? Honestly, I don't know but it is frustrating to see such a fine player not getting the stage his talents deserve. From Melbourne City to PDRM? Now we have Hafiz Abu Sujad beginning a Thai adventure. Once upon a time Sinthana were one of the biggest Thai teams. back in the days before political types got involved. They won the league in 1998 and went on to compete in the Asian Champions League. But they struggled to survive as an entity and merged with a university to become Chula Sinthana just as money flowed into the game with the arrival of Muang Thong United and Buriram United. Apart from a couple of spells in the Premier League, including when they played at the Rajamangala Stadium in front of crowds of less than 1000, they have found their niche as a yo yo side and last season finished bottom of the top flight after just one season. Hafiz, like Safuwan, is joining a side that has just got relegated. For all the sycophancy that gets thrown at the Thai league the strength does not extend beyond perhaps half a dozen clubs. BBCU will be playing against the likes of Air Force Central, Army United and PTT Rayong. It is almost as if Thai football stopped in the 1990s. For Hafiz, an international, it seems a strange move. But an understandable one when you consider his cousin is none other than Fandi. Perhaps to play overseas is part of his football DNA. But aged 26, he should be at the peak of his career, is a move from Tampines where the dreams are of the SLeague and the AFC Cup, is a move to a second tier team in Thailand a step forward career wise? Last but not least we have the curious tale of Hariss Harun. This guy was marked down as one for the future years back and after impressing for LionsXII it was no surprise when he signed for JDT, turning down a move to Portugal. He has impressed with JDT and signed a two year deal back in November 2015. Now, however, it appears to be over. A week or so before Christmas JDT announced Hariss was surplus to requirements and they were actively seeking to send him out on loan with Portugal and Japan possible destinations. That particular story has gone quiet and with just over a week to the start of the new season it appears Hariss is still with the Malaysian side. Whatever the merits of Hafiz move to unfancied BBCU he will certainly find out quite a bit about himself over the next few months. At least he can pick the brain of Hassan Sunny for tips about living in Bangkok. One of the decisions that came out from the recent PSSI conference referred to the age limit of players, implementing an upper age limit of 35 in the Indonesia Super League. Now for a while I have been saying there aren't enough young players coming through and one reason for that is perhaps clubs prefer to go safety first and choose and experienced old pro rather than give a young player a chance. But to mandate a player must retire because they reach a number? I don't think that is the way to go. Surely it is down to clubs to be savvier in their recruitment policies. Yes, there are some journeymen pros out there living off their reputations which faded a good few years back. At the same time there are some pretty good fiddle players out there to paraphrase an old saying. For example look at Sriwijaya's all Brazilian strike force of Hilton Moreira and Alberto Goncalves. Past it? Not on your nelly. I saw them play a few times and they never gave less than 100% a game and of course Goncalves was the top scorer in the Indonesia Soccer Championship. The 36 year old arrived in Indonesia in 2007 and apart from a short spell in Penang has been here ever since. He was top scorer in the Indonesia Cup in 2007. Inter Island Cup 2011. Indonesia Super League 2011. ISC 2016. Do we want to be putting that type of experience and consistency out to pasture just because of some randomly produced number? And if we think old players are stunting the development of younger players let us look again at Sriwijaya. 22 year old keeper Teja Paku Alam was a regular last season. 21 year old Ichsan Kurniawan impressed when he was given a run out. How much would they have learnt from training with and playing alongside the experienced Brazilians? Redusing the number of foreigners in each team is a good thing and one the English premier League should consider. But I am less enthusiastic about age limits. We need more coaches like Sriwijaya's Widodo Cahyo Putro who are willing to give youth a chance, as was PSM's Robert Alberts, and not just really on any 30 something with creaking knees who has been round the block too often. Anyone who saw PSM Makassar at the start of the Indonesia Soccer Championship would have seen a team playing without conviction or belief. Coach Luciano Leandro was feeling the heat from day one and even though his team did defeat Persela Lamongan 2-1 in their second game of the season it was hardly a performance to set the pulses racing among the home support and following a loss away to Perseru Serui the Brazilian became the first coaching casualty of the season. Following a short stint as caretaker by Tony Ho PSM turned to Dutch coach Robert Alberts to turn their season around. The experienced Alberts, most recently in charge of Malaysian side Sarawak, knew all about Indonesian football having guided Arema to the Indonesia Super League title back in 2009/10 but that was with a side brimming with talent and confidence. PSM were a different kettle of fish and indeed if anyone was expecting a sudden turnaround in fortunes for the team from South Sulawesi they were in for a shock as the Eastern Roosters were only able to chalk up a single victory in Alberts’ first eight games in charge, striker Ferdinand Sinaga scoring a brace as PSM came from behind to defeat Persiba Balikpapan 3-2. To be sure, Alberts had inherited a squad low on confidence. However he had started his spell in charge ruthlessly by dropping all four of the foreign players who had started the season yet who had underwhelmed the PSM faithful. With the transfer window a couple of months away that move allowed Alberts to promote younger, more hungry players while he scouted the market for new recruits when the window opened in August. Evidence of a turnaround in PSM’s fortunes came early in July when the side unluckily lost 3-2 away to Persib Bandung. Muchlis Hadi’s equaliser on 81 minutes looked to have rescued a point for the team only for a late goal from the home side by Purwaka Yudhi to deprive them of a point. But PSM had impressed for much of the game with strong performances from the likes of Muchlis, Rasyid Bakri and Ardan Aras. It could be argued Alberts was given that most precious of commodities, time, by the PSM management. But he also came to the club with a plan in place as we witnessed when he moved swiftly to axe the import players. By August he had the team playing the way he wanted and they embarked on a 10 match unbeaten run, a fine head of steam that meant the addition of new import players, Luis Ricardo Lino Dos Santos, Paulo Cesar Da Silva Martins, Ronald Hikspoors and Willem Jan Pluim, could be introduced gradually into a winning team. As well as the foreign players Alberts recruited former SEA Games striker Titus Bonai to renew his partnership with a flourishing Sinaga. The latter had started the campaign looking out of sorts in a poor side but as the season wore on he had become ever more influential, his spikey character, willingness to run at players and never say die character making him a handful for opponents. In fact so complete was Sinaga’s resurrection he was recalled to the national team by Alfred Riedl at the end of the year for the AFF Suzuki Cup. Arema ended PSM’s unbeaten run PSM beat Sriwijaya 2-1 thanks to a late winner from Sinaga before being trounced 4-1 by a rampant Pusamania after taking the lead. A final charge at the end of the campaign saw a seven game winning streak only ended by Persipura Jayapura who put them to the sword in the final game, winning 4-2 to be crowned champions. PSM ended the season in 6th place and the plaudits rang in Alberts’ ears. Typically the coach of the year is awarded to the guy who takes a team to the title but Alberts breaks the mould. He went in to the football club, made some tough decisions, placed his faith in youth and was rewarded for his efforts by receiving this award and even being linked with the national team position. Despite the rumoured links with the Indonesian job he is firmly looking forward to the new season and has already being linked with Jong Ajax striker Ezra Walian and defender Zulkifli Syukur. PSM are the oldest professional football club in Indonesia but their fans haven’t had much to cheer about in recent years. Alberts has given them something to smile about and they will be hoping the coach of the year will be around in 2017 to build on the progress the club made last year. Ok so the new look PSSI held their annual meeting in Bandung today and a few things were decided. National team coach - despite Indonesia's progress to the final of the ASEAN Football Federation Championships coach Alfred Riedl will not have his contract renewed. Instead, according to the PSSI, a couple of Spanish born coaches are in the mix to replace him. Luis Fernandez may have been born in Spain but he grew up in France and was part of the national team which won the Euros in 1984 when they were boringly called the European Championships. He was part of a midfield which featured Jean Tigana and Michel Platini so his pedigree ain't that bad. Since hanging up his boots he has coached teams in France, Spain, Qatar and Israel as well as the Israeli and Guinea national sides. So confident is Wikipedia Fernandez has the job they have already announced it! He hasn't got the job yet. He is up against a proper Spanish guy in Luis Milla who may be a less familiar name to many. He played for Barcelona and Real Madrid and since turning to coaching has worked with a number of age groups for the Spanish national team before a spell in Abu Dhabi. Wikipedia seems to be hedging its bets as they have listed Milla as the next Indonesia coach as well! The idea seems to be whoever takes over the national team will also be responsible for the Under 23s in what will be a busy year with the SEA Games on the near horizon. A decision could be made as soon as tomorrow, Wikipedia allowing! PSSI also have a couple of candidates lined up for the national Under 19 team. Wolfgang Pikal is a long time resident of Indonesia, speaks the language and of course has worked with Riedl on a number of occasions. Indra Sjafri, currently with Bali United, is the other name in the frame. Indra of course coached the Under 19s recently, well a couple of years back, when they won the AFF Under 19 Championships which saw them on the road to Myanmar. Two names put forward for the Under 15s are Rudy Eka Priyambada and Fachri Husaini. Rudy is an ambitious young coach who I met and interviewed in Bahrain in 2015. He has been doing a good job with new side Celebest FC who reached the finals of the recent Indonesia Soccer Championship B. Fachri has had a number of jobs with the PSSI since his side Bontang fell off the football map a few years ago. The return of the seven - Thousands of Persebaya fans headed to Bandung to remind PSSI members of their existence if not their football club's and they were given plenty to celebrate as their side will return to Indonesian football in the coming season. Putting aside the Persebaya/Persebaya United/Bonek United/Surabaya United abomination that has been masquerading as Surabaya's top football club in recent years, the infamous Bonek can look forward to life in Divisi Utama in 2017. Their football club last kicked a ball in anger in 2013 in the final days of the ill starred Liga Primer Indonesia but the fans have kept up the pressure to see their good name restored to its rightful place. Other familiar names will also be making a return to the football scene. Persipasi kind of disappeared when they weren't allowed to use their new stadium in Bekasi and they merged with Pelita Bandung Raya for a short stint before being bought out and moved to Madura to become Madura United. Arema Indonesia, Persema, Persibo, Persewangi and Lampang FC will be joining Persipasi in the Nusantara League, Indonesia's third tier. Arema Indonesia are of course different to Arema who came second in the ISC and suffered from a falling off in attendances over the season. It remains to be seen what kind of crowds Arema Indonesia attract. It goes without saying Persema won't have fans queuing for miles when they return to the Nusantara League though. New season - the Indonesia Super League kicks off 26 March and will feature 18 teams. As far as I can make out the status of Bhayangkara and PS TNI hasn't changed so can we expect them to be in the ISL? Each club is allowed two foreign players plus one Asian player. Divisi Utama kicks off a week earlier with no foreign players. Who needs them? With clubs like Persebaya, Persis, PSIS, PSS and PSIM we can look forward to some monster games and attendances! Divisi Utama 2018 will have two conferences of 12 teams each so expeect a long drawn out season with plenty of tension and controversy. All in all it seems to have been a positive meeting with things decided and plans laid down for the future. Let's see what the future brings! A 19 year old enjoying a year end holiday in Indonesia has been attracting an inordinate amount of column inches in local football papers. Ezra Walian is his name and he plays for Jong Ajax, the Dutch giants second string team. He has also represented the Netherlands at a number of age group levels. Hardly reason enough for all the headlines. But all the local interest, and it goes right to the sports ministry, revolves around the fact Walian's old man hails from Manado, a city in North Sulawesi. The young striker is under contract to Ajax for the rest of the season and has made no secret of his affection for Indonesia or his desire to line up for the land of his father. Back in 2014 he was asking if Indonesia had an Under 17 side on social media! And following a trial game over the last couple of days the sports minister has proposed Ezra be put forward for naturalisation. If this is fast tracked could we see the Ajax alumni in the SEA Games later this year? He played for 45 minutes in an exhibition game at a military base which was watched by a number of PSSI officials including new head Edy Rahmayadi. But that was not his first experience of playing in South East Asia. Back in 2012 he was part of the Ajax B2 side that played in the Lion City Cup in Singapore where he scored seven goals including two against Manchester City and two in the final against the hosts. Also lining up in the game in Cijantung was Martunis who made headlines around the world after he survived the Aceh tsunami and was photographed wearing a Cristiano Ronaldo shirt. The Portuguese later got in touch and arranged for him to join the Sporting Lisbon academy. Martunis's contract in Lisbon ended in June and he is still waiting to hear of it will be extended or not! While he waits there are clubs from Indonesia and Malaysia reportedly waiting in the wings to sign him. While Ezra returns to the Netherlands to resume training with Jong Ajax Indonesian embassies across Europe and the Middle East have been told to look out for promising young footballers who could join the national team set up with a couple of possibilities apparently with Valencia CF.and Andri Syahputra in Qatar. Whether this means we can expect another flood of naturalised players in the national team remains to be seen. We have been here before with the likes of Kim Kurniawan, Greg Nwokolo and Bio Paulin. Yet when it came to the recent AFF Suzuki Cup Indonesian reached the final with a side cobbled together by coach Alfred Riedl without any 'imported' players. With Ezra's holiday over he may disappear from the sports pages for a while. But his desire to play for Indonesia seems sincere and with the sports ministry starting the ball rolliing it could be a matter of time before he has the opportunity to wear the merah putih.